Welcome to HDFC's Media centre. This section helps you stay abreast with the latest developments at HDFC and its subsidiary group companies. You can browse through our press releases, read about our latest awards & accolades, view the media interviews of our management and even download our media kit which includes our company and management profile. We strive hard to continuously set new standards in the industry and this is what has taken us beyond success with every milestone. Take a look at some of the awards and recognitions that have been accorded to us over the years. HDFC Ltd was awarded winner as 'India’s Leading Housing Finance Company' at the Dun & Bradstreet India's Leading BFSI Companies & Awards 2019. This was the 3rd year of this award category and HDFC has been the winner on all the three occasions. HDFC Ltd was awarded as the ‘Best Private Sector Financial Institution’ for PMAY-CLSS at PMAY- Affordable Housing Awards 2019 held in New Delhi on 5th March 2019. 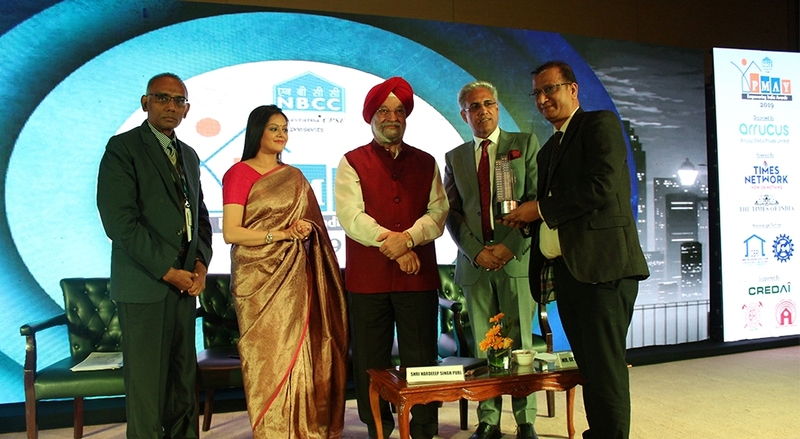 The award was bestowed upon HDFC Ltd by Hon'ble Minister of State (Independent charge), Ministry of Housing and Urban Affairs, Shri Hardeep Singh Puri. Mr. Sanjay Joshi, Addl Senior General Manager received the award on behalf of HDFC Ltd.
HDFC Ltd was recognized as one of the best brands for 2019 by The Economic Times at their 2nd edition of ‘ET Best Brands Summit and Awards 2019’. Mr. Mahesh Shah – General Manager & Head – Public Relations accepted the award on behalf of HDFC Ltd from the hands of Mr. Abu Jani and Mr. Sandeep Khosla, noted fashion designer. The award function was held in Mumbai on 29th March 2019. 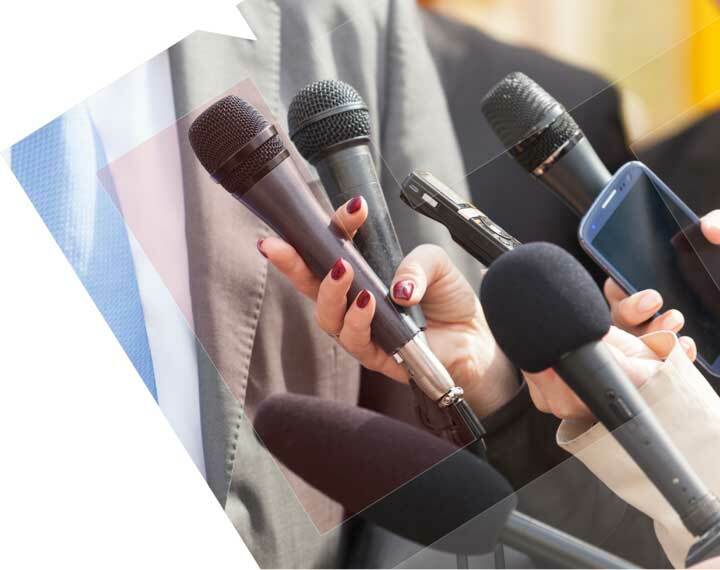 Our Media Kit is designed to help the Media fraternity easily access important information about us that can be used alongside our press releases or general media stories. Mr. Deepak Parekh (73) spearheads India’s premier housing finance company HDFC Ltd., which has turned the dream of owning a home into a reality for millions across the country. Mr. Parekh’s astute business acumen and farsightedness has not only made HDFC the leader in mortgages, but has also transformed it into India’s leading financial services conglomerate with presence in banking, asset management, life insurance, general insurance, real estate venture fund, education loans and education. Mr Parekh is also the chairman of HDFC Asset Management, HDFC Standard Life Insurance Co and HDFC Ergo General Insurance Co. The Government of India honoured Mr. Parekh with one of the highest civilian awards, the Padma Bhushan in 2006. A Chartered Accountant from the Institute of Chartered Accountants of India (ICAI). Mr. Keki Mistry brings with him over three decades of varied work experience in the Banking & Financial Services domain. In 1981, Mr. Mistry joined HDFC Ltd. India's premier housing finance company. Over the years he held several responsibilities, prior to being inducted onto its Board as Executive Director in 1993. He was appointed as the Managing Director in 2000, as the Vice Chairman & Managing Director in October 2007 and the Vice-Chairman & Chief Executive Officer of the Corporation with effect from January 1, 2010. Mistry is responsible for the overall functioning of the Corporation. A Post Graduate in Economics from the University of Delhi and a degree holder of Law from the University of Mumbai, Ms. Renu Sud Karnad brings with her rich experience and enormous knowledge in the mortgage sector, having been part of the nascent real estate & mortgage sectors in India. She is also a Parvin Fellow — Woodrow Wilson School of International Affairs, Princeton University, U.S.A.
Ms. Renu Sud Karnad joined HDFC Ltd. in 1978. She was inducted onto its Board as Executive Director in 2000. She grew to become Joint Managing Director in 2007 and has been elevated to the post of Managing Director with effect from January 1, 2010. HDFC - is how millions of Indian's spell the word Home. Take a look at HDFC’s grand Head Office in Mumbai.